and Sarah Elizabeth Snow (1857-1960). They were married in London in 1881. In 1891 Cecil was living with just his mother and 4 siblings; two older brothers Ernest John and Herbert A. and two younger, Harold Rupert and Percy Walter. In 1901 they are still resident at Sunnymead Cottages in Cookham and there are two further children, Hilda Annie another boy Sidney Robert and father, John, is still not listed in this household. Cecil, by then aged 14, is employed as an under gardener. Ten years on and he is still in service and now living in what appears to be staff accommodation, Lambolle Stables in Hampstead and is now employed as a chauffeur. He married Frances Carter in the summer of 1913 and they had three daughters, Frances S. (born in the 1st quarter of 1914 and registered in the Walsingham District Constance Rose born June 1st 1915 and Ivy Hilda born August 28th 1916. The latter were both baptised in Ryburgh Church on September 21st 1916 by the Rector Revd. F.H.Tatham. Apart from his presence on the Think and Thank Screen, this appearance in the Ryburgh Registers was the first known point in the story to connect him with Great Ryburgh. His Medal Index card gives no clue to when he enlisted except that it was after 1915 and his service record is not amongst the burnt records. After his death Frances Kail returned to Buckinghamshire and married Seymour Huggins in early 1921 and the family would seem to have stayed there. Cecil’s daughters, Frances, Constance Rose and Ivy Hilda, who he can have seen very little of, married in 1932, 1936 and 1937 to Arthur Creswell, Joe Giles and Arthur Jackman respectively. 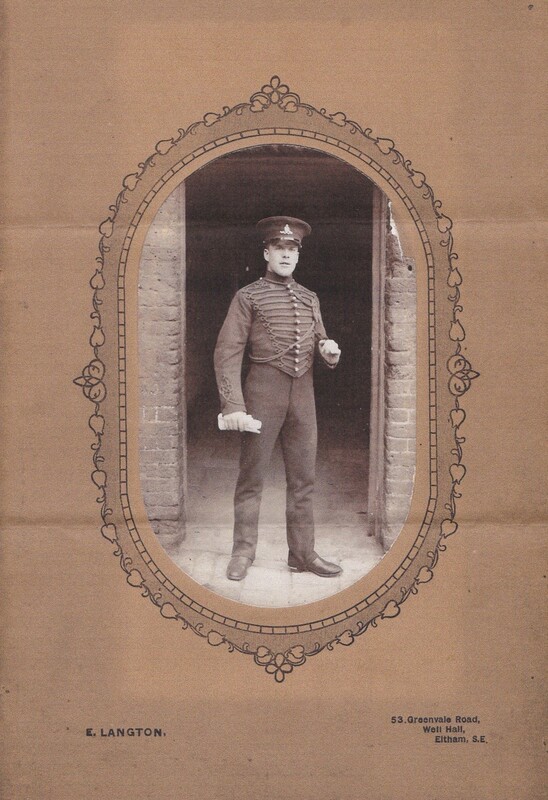 Two of Cecil’s younger brothers, Walter Percy John and Robert Sidney were also casualties of the War. had been footman (and the only male) in the household of Her Highness Princess Marie Louise of Schleswig-Holstein in 1911. She was a granddaughter of Queen Victoria (about whom much can be read on the Internet) and living at the time in the seventeen rooms of 21 Queensbury Place London S.W. At some point after this he emigrated to North America and subsequently volunteered to become Private 2435822 in the 43rd. Battalion, Canadian Infantry. He died of wounds just days before Cecil at the No 18 General Hospital, Camiers, Etaples. Walter emigrated to the United States, working as a machinist at a Cleveland theatre. He crossed the border into Canada to enlist for service on the 13th July 1917. During operations on October 1st 1918, he was wounded by shrapnel and sustained a fractured femur. He died eleven days later at No.18 General Hospital. Walter was a Machinist, at the Doan Theatre, in Cleveland, USA before the War. Walter is remembered with honour at the Etaples Military Cemetery. Robert Sidney Kail was aged just 18 when he died on the Western Front on 19th January 1917 at the General Hospital at Wimereux whilst serving with 2/4th Battalion, (Princess Charlotte of Wales’s) Royal Berkshire Regiment. Another brother, Harold Rupert, had joined the Royal Horse Artillery before the War and saw service from the very start in August 1914. He survived the War and had been promoted to Sgt. by the end of hostilities. 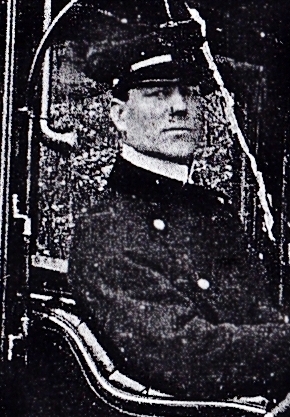 The photographs of Harold Kail below and of John Kail at the top of this page were kindly provided by his son Mr. Leonard John Kail. The names of all three brothers are inscribed on the War Memorials at St Luke’s Church Maidenhead and on the Maidenhead Town Hall Memorial which was unveiled in December 1920. Were Cecil’s widow and children present as part of the “Procession of War Orphans, Relatives of those who fell and Ex Service men around the Memorial” which completed the Order of Service on the day? 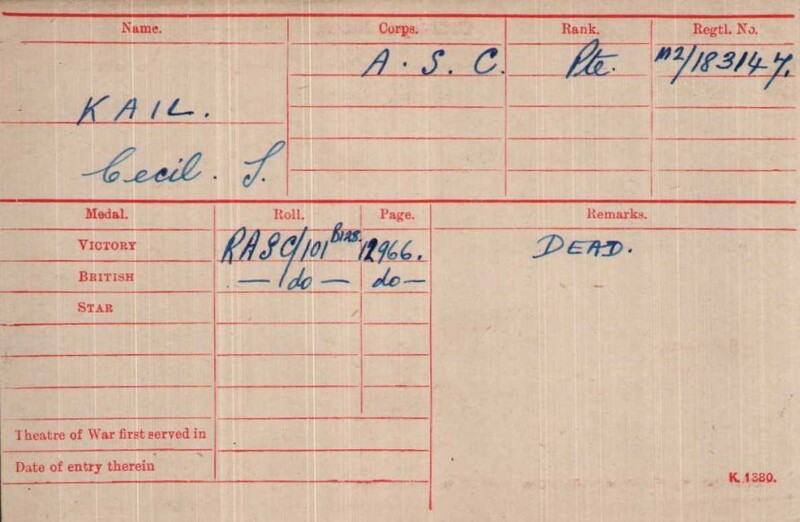 At present we have no more information about Cecil, except to say that he was a driver with the 31st Motor Ambulance Convoy, Army Service Corps and his number was M2/183147 and that he died on the Western Front at the No.42 Casualty Clearing Station, Douai, a place he must have known very well, on November 1st. 1918, so very near to the end of the War. 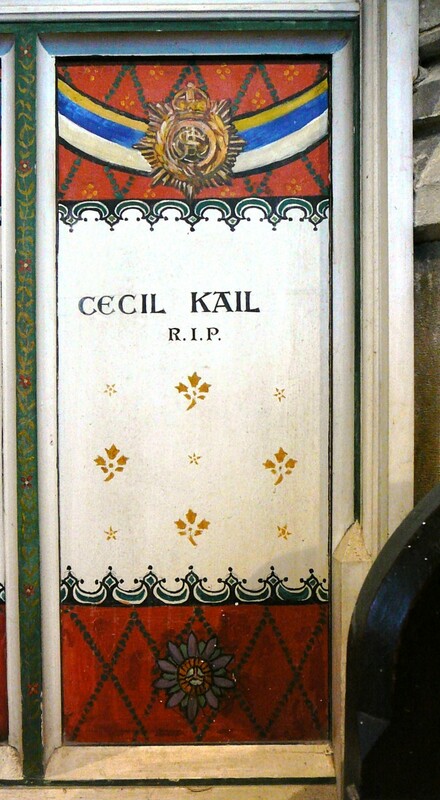 Cecil is remembered with honour at Douai British Cemetery Cuincy. The photos of the gravestones of the three brothers were taken in October 2018 on a family visit to the cemeteries. Our thanks to Simon and Leonard Kail for sharing them with us. On Sunday 11th November 2018, Cecil's grandson Bob Jackman and great nephew Simon Kail attended the Service of Remembrance at St Andrew's. For the first time since these Remembrances began a complete roll call of all the men found on this website who died during WW1 was recited at the War Memorial in Station Road. Also present were Mr Tom Cook, grandson of Cecil's employer at Sennowe and Charlie Temple-Richards, great grandson of Cecil's employer and current incumbent of Sennowe. 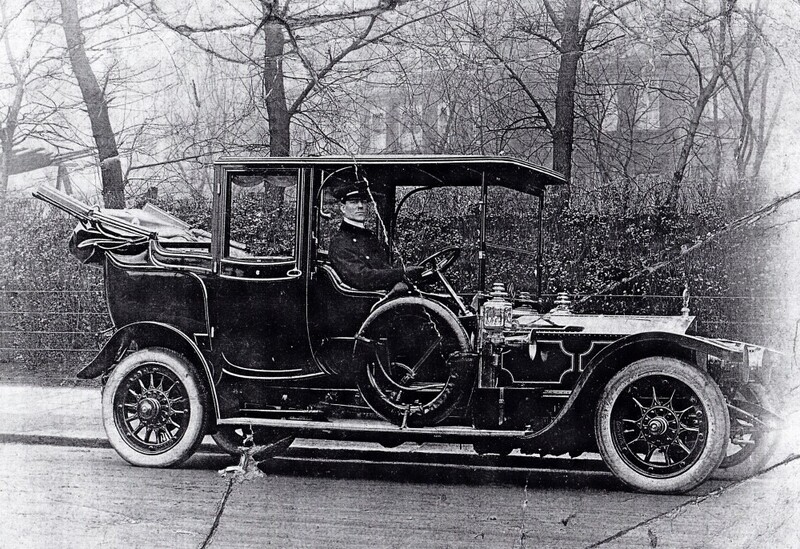 They arrived with a splendid 1922 Rolls Royce and after the Service, paid the singularly kind and generous compliment to Cecil's descendants and chauffeured them up to Sennowe in the Rolls for a tour of the place where he had worked over a century ago. Our heartfelt thanks go to all those who contributed to this and all the other pages of this commemorative site with these photos of a very fitting conclusion to Remembrance Day in Ryburgh in 2018.